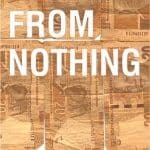 Home » Blog Posts » Moral Optimism » When will the United States collapse? Update January 2019: These April 2018 posts on “When will the United States Collapse?” did not come true in 2018. But in 2019, the possibility of collapse seems quite plausible and frighteningly possible. I am probably the person you should least trust to answer the question of “When will the United States collapse?” I grew up in 1970s Montana, swimming in the same water as survivalists. 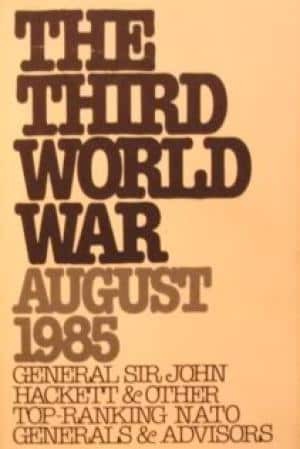 I read books like The Third World War: August 1985 and it seemed completely realistic. After that, I turned to Marxian history and economics. I even got a copy of Althusser’s Reading Capital. Fun times. Marxian-inspired anthropologists are rather infamous for constantly predicting crisis. For a recent example, see Reflections on Moishe Postone’s legacy for anthropology by Hadas Weiss on the Focaal Blog (April 2018). There, Postone’s most-recently cited reference is “Thinking the global crisis.” From 2012. I started thinking much more anthropologically under the guidance of Michel-Rolph Trouillot. And Trouillot was very clear that the value of anthropology was not from prediction. Nevertheless, anthropologists often veer between moral optimism and intellectual pessimism, which is another reason I’m surprised to not be hearing more anthropological chatter on the theme. If in March 2018, The Trump administration *was* teetering on the edge of a political abyss, what now? That was before John Bolton. The rise of Peter Navarro. Developments in Trump-Russia. Plus various legal troubles, and apparently firing people faster than they can be appointed. The most convincing arguments I have read thus far, see the current decline of US dominance as beginning around the end of the war in Vietnam, with some brief moments of respite, even a rally, along the way. Trump would thus represent a moment along the downward slope. . . . Nobody expected the fall of the US empire to be a neat affair. This particular imperial decline promises not to disappoint. . . . Any real or imagined demise of Donald Trump is, at best, the smallest and least important part of the picture of the demise of hegemony, both at home and abroad. For the most part, I have mostly agreed that the question of “When will the United States collapse?” will not occur as a distinct event. It is a slow process, one that we are already living through. Only in historical retrospective are we able to identify the processes and signal the key events along the way. A US stock market collapse, possibly accompanied by a fall in the US dollar. To cite: Antrosio, Jason. 2018. “When Will the United States Collapse?” Living Anthropologically website, https://www.livinganthropologically.com/when-will-us-collapse/. First posted 4 April 2018. Revised 5 January 2019.